Continuent is hiring. The business is growing, the opportunities are piling up nicely, and we need to beef up the team with the addition of some new professionals. QA Engineer and a Support Engineer, both experts of their specific trades and of database clustering. We are looking at the matter without borders. Although it would be preferable to find candidates in the US, and in the West Coast in particular, we are really looking for the best people in the market, regardless of their location. Both jobs are challenging, they are both MySQL related, and both require experience with QA and support respectively, in addition to development background. 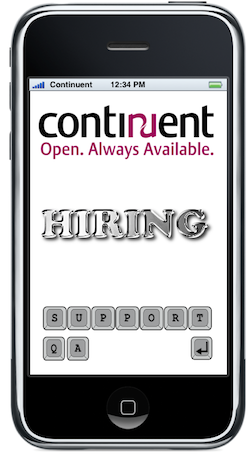 If you are a super star in either QA or support, contact resumes AT continuent DOT com. Also, feel free to contact me, should you need further information.